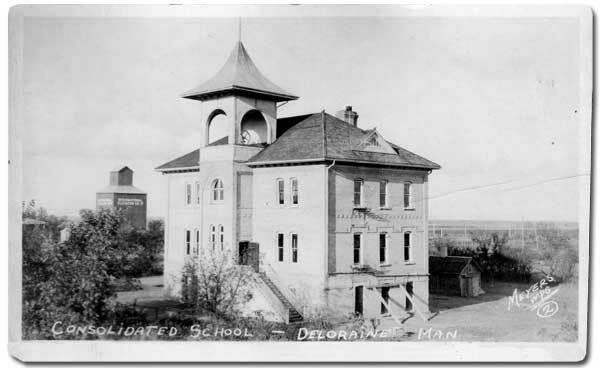 The school district in the village of Deloraine (in what is now the Municipality of Deloraine-Winchester) was formally established in March 1887, known initially as Broadway School until 1897 when the original Deloraine School was renamed Hazeldean School. Classes were held in a one-classroom building until 1894 when a two-classroom stone structure replaced it. By the spring of 1895, two more classrooms had been added to it and, in 1900, a fifth one completed it. The building was destroyed by fire on 7 May 1901. 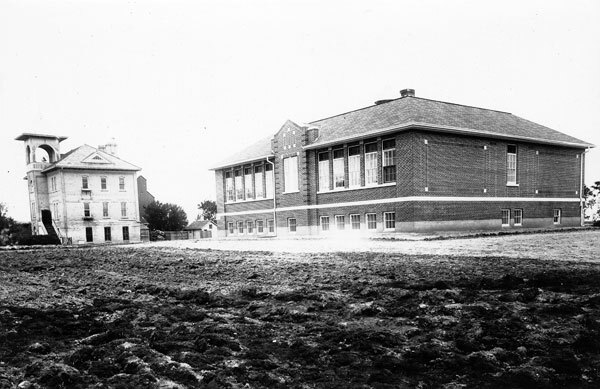 The third Deloraine School building, erected and opened for service by November 1902, was a two storey, six-classroom brick structure designed by Winnipeg architect C. H. Wheeler. Student enrollment increased through the 1910s and 1920s. In May 1921, it became Deloraine Consolidated School No. 490 when it was consolidated with Kirkwood School No. 654. By 1928, a one-storey, four-classroom building was built nearby to alleviate congestion in the earlier school. Designed by Winnipeg architect Gilbert Parfitt, it was the twin of schools at Brookdale, Ninette and Shoal Lake. The two buildings stood together until Christmas 1935 when the older school was destroyed by fire. The school board purchased a former Presbyterian church and converted it into a collegiate, named Falconer Collegiate in recognition of Thomas Falconer, a long-serving member of the board. 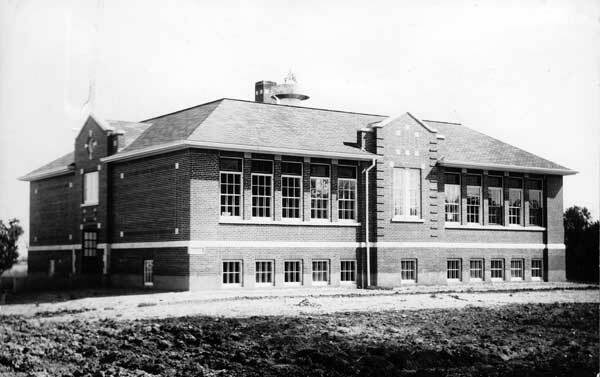 In 1958, an addition was made to the 1928 school, including five classrooms, an auditorium with stage, staff room, principal’s office, student lockers, and modern washrooms. Through the 1960s, rural schools in the surrounding area closed and their student were bused to Deloraine. These included Bayview School No. 454, Bidford School No. 456, Brock School No. 809, Coxworth School No. 1785, Flossie School No. 1265, Grove School No. 455, Hazeldean No. 195, Marsden School #1 No. 1247, Marsden School #2 No. 1247, Montefiore School No. 359, Mountainside School No. 248, Otter School No. 411, Regent School No. 1793, and Thirlstane School No. 483. In June 1966, it became Deloraine Consolidated School No. 2448. Dand School closed in 1970, and Goodlands and Medora were added to it five years later. With the need for space becoming dire, a new Deloraine Collegiate building was erected in 1963 and students in grades 9 to 12 moved there, leaving grades 1 to 8 in the older building which was expanded once more, in 1968, with four classrooms (to replace portable ones that had been used in prior years), a large gymnasium, and washrooms on a lower level, and six classrooms on an upper level. Students from kindergarten to grade 6 moved to the Collegiate while students in grades 7 and 8 remained behind, being joined by ones from grades 9 to 12 from the former Collegiate. The present school building, dating from 1963, stands on the same site as its predecessors. The school building erected in 1928 remained in use until the late 1970s. At that time, it was blocked off and sat vacant. It was demolished in the early 1980s. 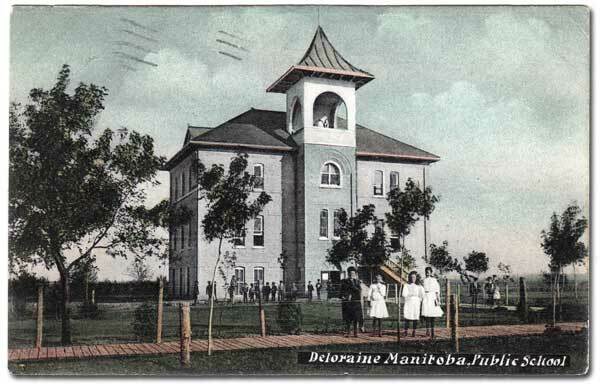 Other Principals of Deloraine School included: Alexander S. Rose, Winnifred Hainsworth, Jim Wilson, Bryan Tyerman, and Lyle Franklin. Among the other teachers of Deloraine School were B. Maude Bradshaw and Henrietta B. Herkes (1937-1938). “Deloraine’s new school,” Manitoba Free Press, 12 April 1902, page 8. “Deloraine, Man,” Western Canada Fire Underwriters’ Association map, April 1912, Archives of Manitoba. Deloraine Scans a Century, Deloraine History Book Committee, 1980. We thank Tricia Tennent, Tony Franklin, and Nathan Kramer for providing additional information used here.